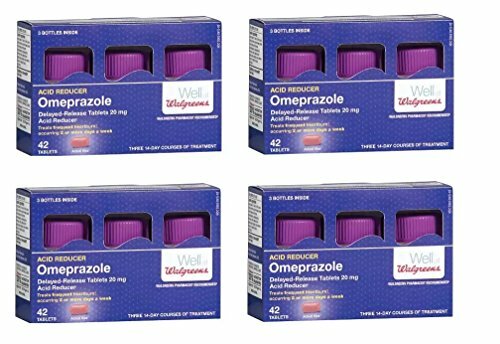 Walgreens Omeprazole Treats Frequent Heartburn occurring 2 or more days a week! Omeprazole is the active ingredient in heartburn medications such as Prilosec. Each purchase in this bulk value listing contains 164 total pills (twelve 14-day courses of treatment). If you have any questions about this product by Walgreens, contact us by completing and submitting the form below. If you are looking for a specif part number, please include it with your message.